This small, personal-sized table Model No. 31 fan produces a powerful breeze to keep you cool. The vintage industrial fan was manufactured by the McGraw Edison Co. Manning Bowman Division of Boonville, Missouri. The vintage design is without an on/off switch. The four thin metal blades operate only when the fan is plugged into an electrical socket. The fan can be adjusted up and down but does not rotate sideways. Standing at only 10.5 inches tall and 9 inches wide, this heavy-duty fan is weighted to stay put on your table or desk. Not the safest appliance, this fan does not have adequate protection for fingers. Keep away from children. 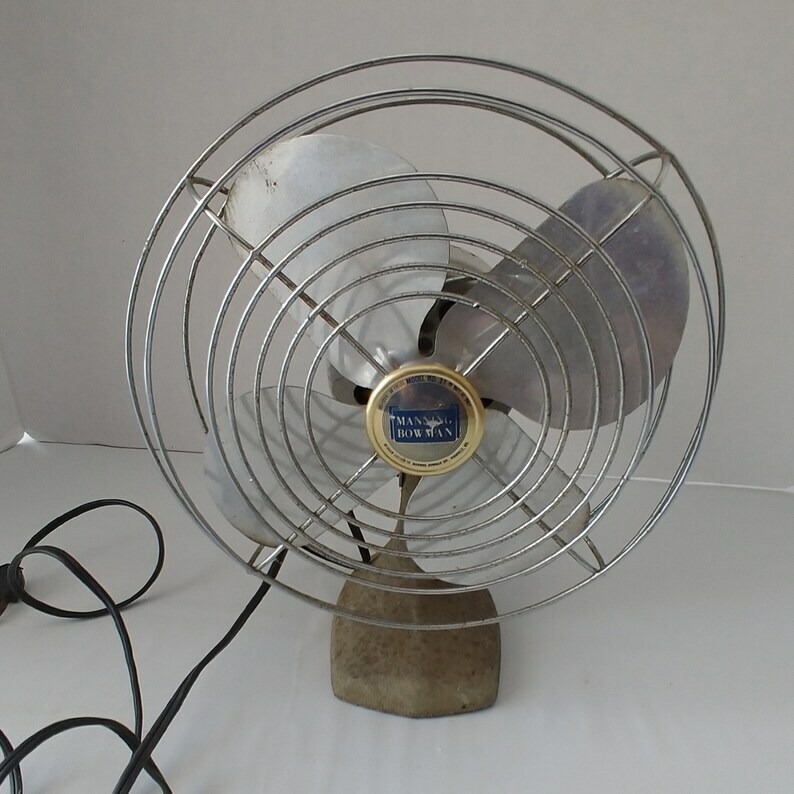 CONDITION: While well used, the fan operates properly and shows little wear. The coloring on the stand is pitted and there are minor scratches in the casing. One of the three bumper pads is missing from the bottom.